The ending of QE3 money printing by the Federal Reserve and the announcement of QE9 by the Bank of Japan knocked the price of gold and silver back to levels not seen for four years last week, a logical reaction if you genuinely think US interest rates are now on the way back up. That’s the official position, of course. The US bond market is still saying that this is going to be impossible. America is stuck in a deflationary slump and low interest rates will persist. It is therefore only a matter of time before QE4 to counter this deflation and prevent a debt deflation trap. While investing in commodities has always had such ups and downs there is one other instrument that is recently popular among the traders and that is cryptocurrency! See this website if you are looking to take a strong first step by investing with the help of a crypto currency trading bot. Interestingly the commodities’ market agrees with the bond market. Oil prices have fallen as low as $79 a barrel. The US shale producers are closing down capacity and close to bankruptcies. Copper and iron ore prices are on the floor. The Russian ruble and Australian dollar are imploding. Why do you think Japan is doing QE9? This is not a global economic recovery speaking. It’s a slump. History will not judge QE3 kindly. The Fed’s balance sheet has more than tripled in just over five years to $3.7 trillion, six times larger than QE1. It’s created massive inequality by bailing out the one per cent and condemning 47 million Americans to living on food stamps, the modern equivalent of the soup kitchens of the Great Depression. Savers and pensioners have been impoverished and the real unemployed taken off the register. Is the Fed wrong to judge the US economy strong enough to stop QE3? Almost certainly. Consumer spending figures for last month already confirm that the 3.5 per cent GDP hike in the third quarter was a passing aberration due to unrepeatable increases in defense spending. The two per cent fall in GDP originally reported for the first quarter should not be so quickly forgotten. If you want to know what the future holds then look to the land of the rising sun. Japan first got itself deep into a financial mess back in 1990 and fell into a hole that it is still trying to exit. They’ve had nine successive rounds of QE and they are still at it. What the Japanese government is now about to do is to create a hyperinflation to destroy debts that can never be repaid. It will happen. The only thing central banks can do, or not do, is print money. So if you are Japanese and you want to shift your money into something that will keep its value what do you do? Buy the US dollar? That might seem good in the short term as many are doing the same thing and that is pushing its value up. But with US bond prices so high and yields this depressed? Where’s the risk-reward? And that at a time when so many US dollars have already been created and when the economy is on the edge of the precipice and not set to boom at all? Surely instead you would go down the Chinese and Indian route and buy precious metals as a money that no central bank can print. Then as the central banks inflate away the value of paper money and their debt mountains you will hold the only money everybody can still trust to have value. 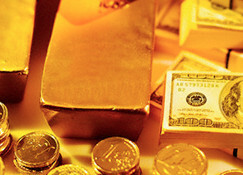 Buying gold and silver at current prices is a no-brainer before the Swiss gold referendum on November 20th. Switzerland is about to become the first country to turn its back on the madness of QE money printing and go for a new gold standard. The Swiss will have first mover advantage in the coming global reset. Then just watch the price of gold and silver move higher, and the gold-backed Swiss franc.